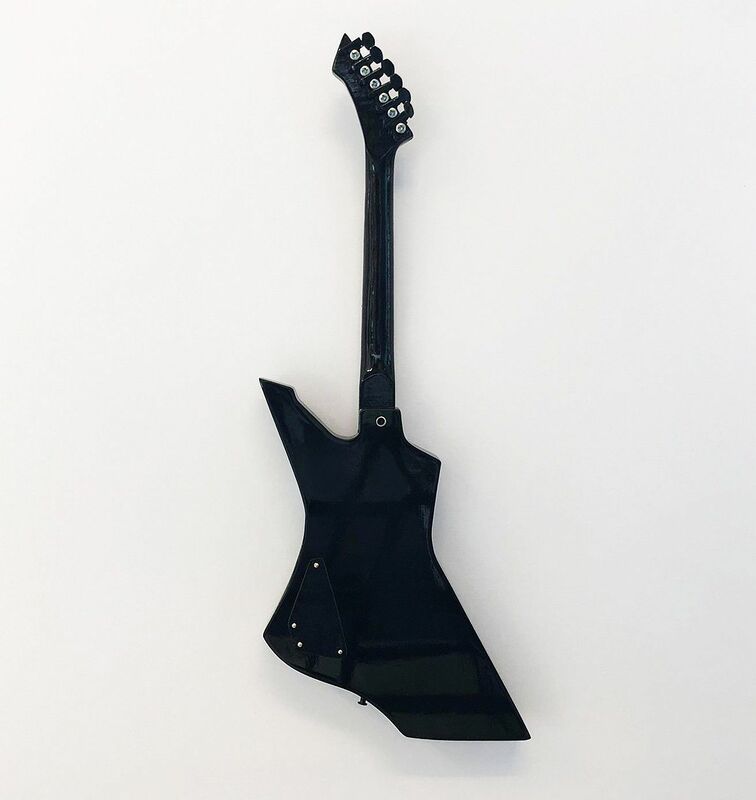 James Hetfield - ESP Black Snakebyte Miniature Guitar. 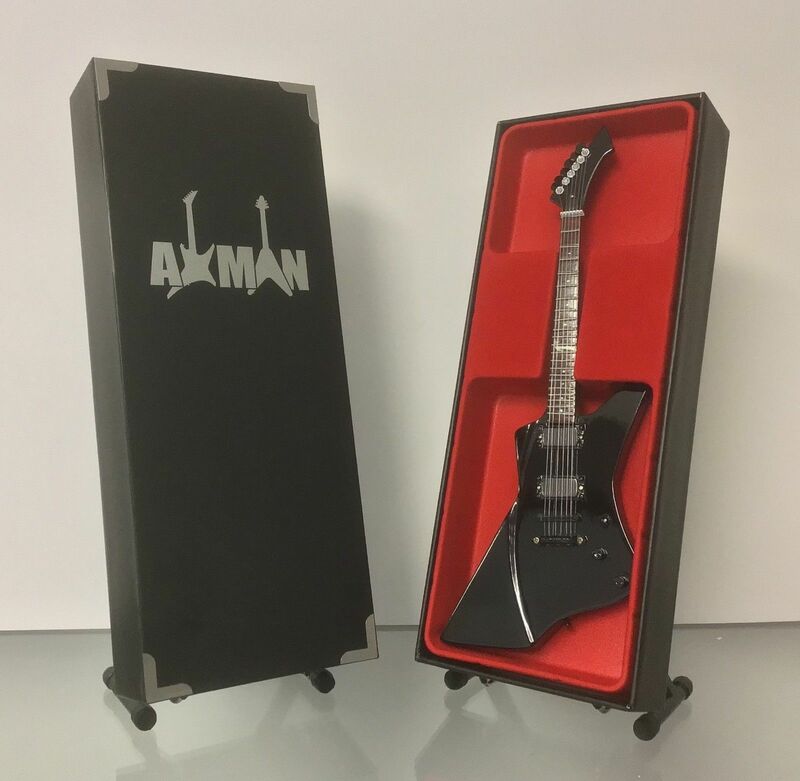 This is a miniature replica of James Hetfields' ESP/LTD Snakebyte Blks guitar. 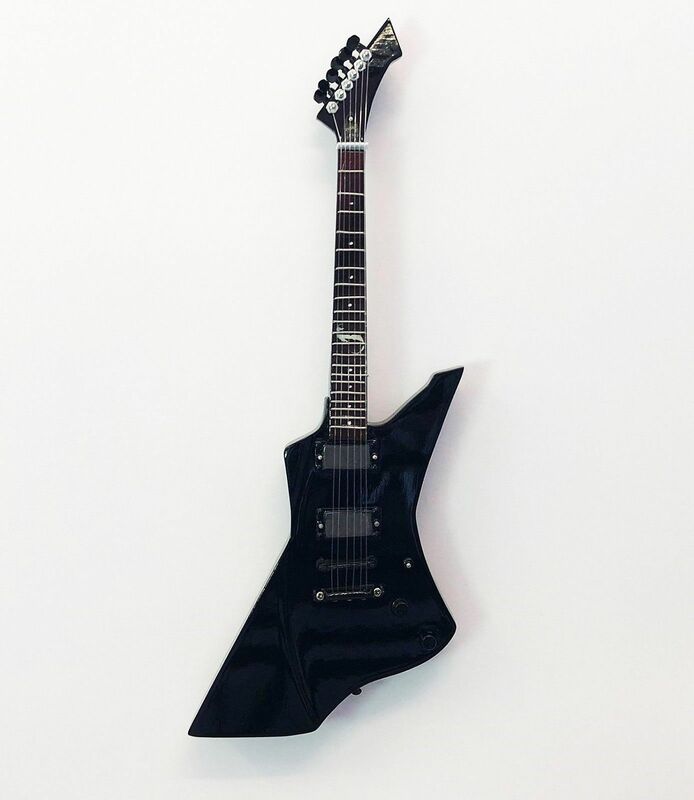 This guitar was based upon the ESP Explorers that he previously used in his career. Now, it features as his most recent companion both on a stage and in studio.